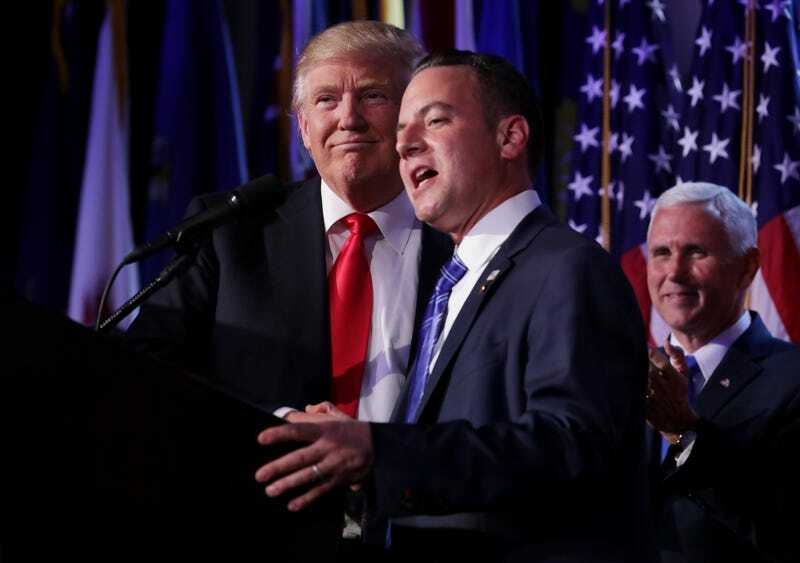 As the news of Donald Trump’s “win” solidifies from a nightmare from which we can’t awake to an increasingly dark reality, the Tiny Handed One has named RNC Chairman Reince Priebus his chief of staff. Not to be a Debbie Downer, but this is probably the least detrimental appointment he’ll make in the coming weeks. It feels like just yesterday that Trump was crooning about “draining the swamp,” but it seems as though Priebus, a “Washington insider” if there ever was one, was plucked from the drain like a water-logged hairball. Stephen Bannon, the chairman of Breitbart News and other top contender for the job, has been awarded the position of chief strategist and senior counselor. Here’s my statement: I am going to vomit.